Sutras tell that the Buddha, giving a conference in front of numerous people at the Vulture´s Peak, stopped speaking for a moment and, smiling, held a flower and made it turn in his hand. Mahakashyapa, his disciple, was one among the thousands of people present but the only one to see his gesture. So, Mahakashyapa smiled too. At this moment, they both look at each other. 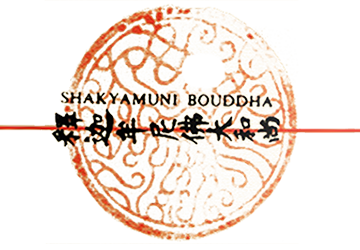 Mahakashyapa’s spirit turned into a complete intimacy with Buddha’s spirit. He was illuminated by the Buddha´s spirit and both were the same spirit. I have a very subtle teaching, the Treasure of the Eye of True Dharma. I now transmit it to Mahakashyapa. Here took place the first intimate Dharma transmission. It is considered as the first link in the succession of Zen Masters, which still perpetuates itself in our days. A transmission beyond words and texts: I Shin Den Shin: from my spirit to your spirit.